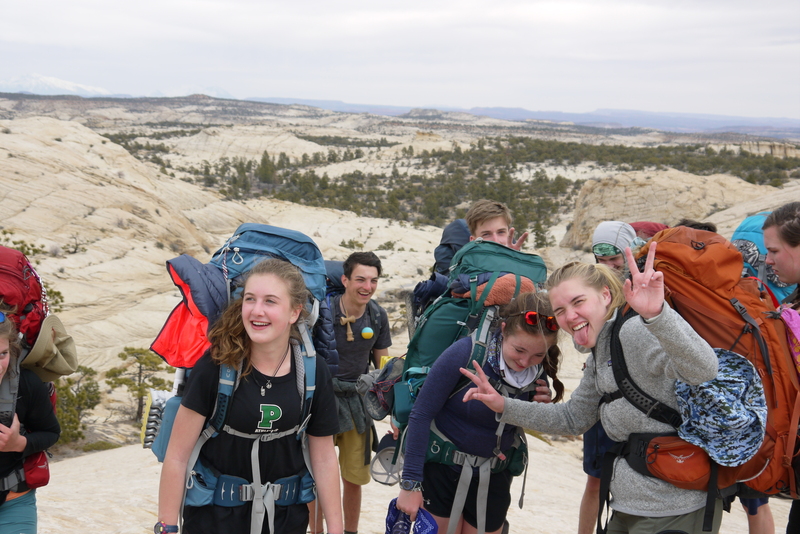 Proctor Academy's Mountain Classroom program enters their fourth week of exploring, learning, and living in the American Southwest. 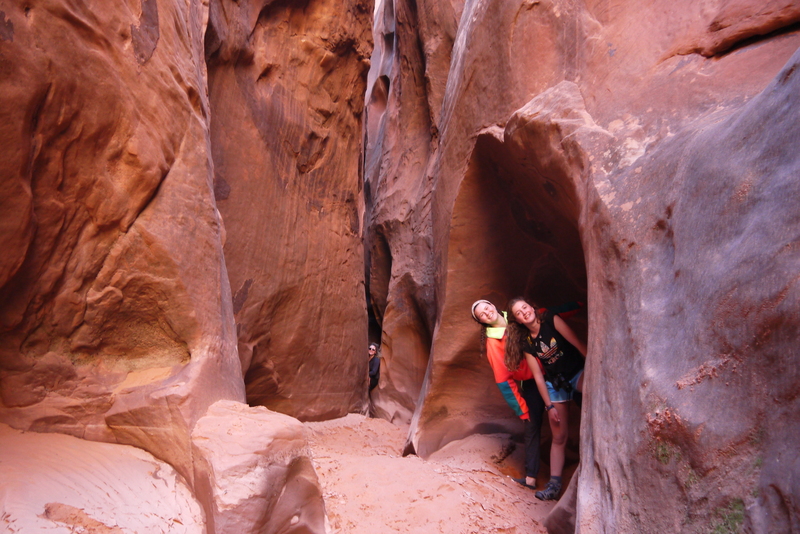 Madeline '20 shares this week's blog post from Escalante, Utah. 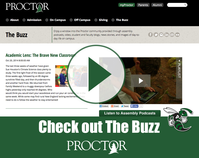 Enjoy her words below and learn more about Proctor's Mountain Classroom Program HERE. 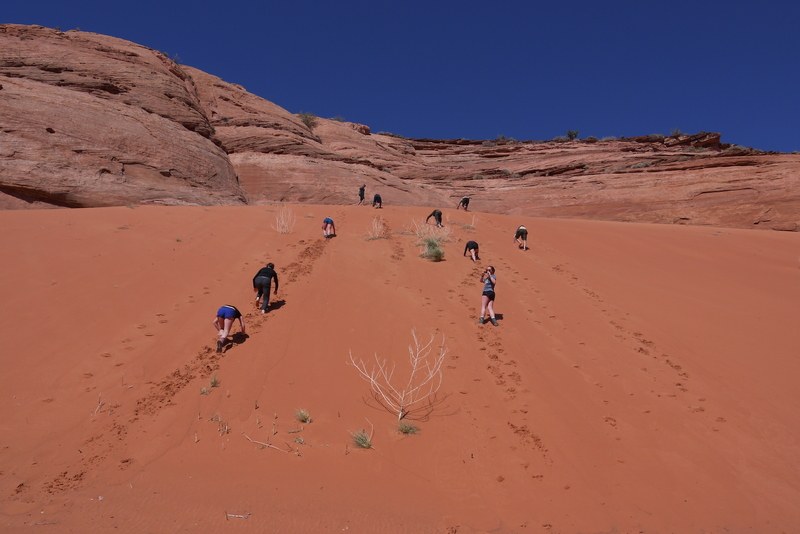 As our feet dug into the fire red sand of the Kanab BLM land, we listened for Kate’s command, “ ONE,TWO, THREE, PUSHH!”. Finally pulling into our campsite after a full day of driving, everyone was excited to set up camp; this is not what the Kanab sand had in store for us. Instead, we had a group weight training session with the trailer and Deb (the bus) as our weights. Plans were re-evaluated, multiple times, after multiple tries, and sand was pushed and shoved in many different directions in anticipation for the trailers preference on what way it preferred. Twenty four hours later, we had arrived to our destination in Escalante, Utah chowing down bowls of fancy ramen. Escalante is a sleepy town, that moves as slow as it pleases. My morning runs were proof of this because even by 8:30am, a quarter into a Proctor class on Monday morning, I had not seen more than four cars within the hour. Escalante is small, profiting mainly from the tourism around the National Monument. 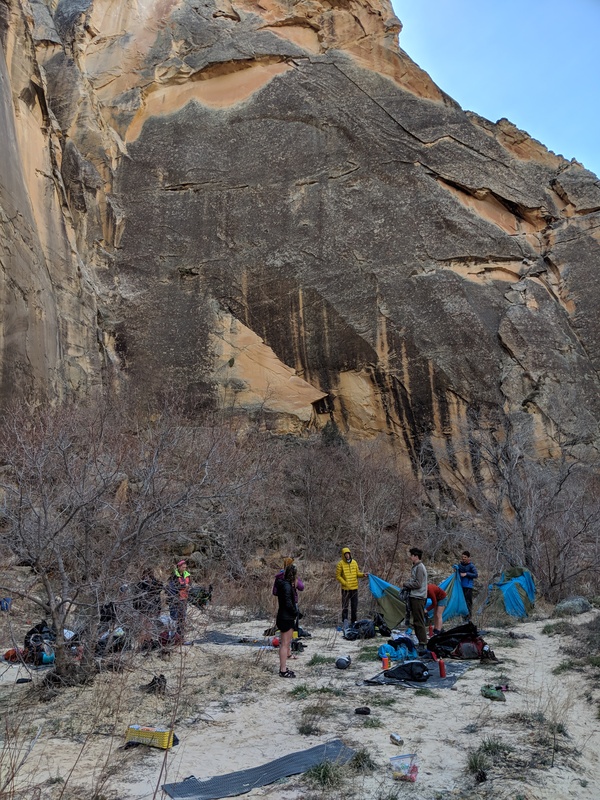 Although Mondays may be relaxed in Escalante, our instructors had a different agenda; we were sprayed with a firehose of information about how to prepare for our backpacking expedition through the Grand Staircase of Escalante, Utah. As we set out on the trail early Tuesday, the trip started off strong, singing along with the worlds biggest T-Swizzle Fan (Quinn), to one of our undeniably favorite jams, Love Story by Taylor Swift. By late morning, we had reached the trailhead to start our expedition. Our group had ventured to hike the Mail Trail, which from our route would come out to a 30 mile hike, spread over the next four days. We started on our trail; hiking through the rest of the day we had done about six miles in total. As we arrived to our confirmed campsite, we released our packs off our backs; it felt as though they were carrying the weight of the world on our bruised hips. Our bodies had not been used to the struggle of carrying everything we needed for four days on our backs. It was a slight adjustment that we had conformed to, but we learned to endure it together. Not much later, we were whipping up dinner in our back country pans, where there was an assortment of dinners within each groups. The meals ranged from quinoa with veggies, to ramen with dehydrated mashed potatoes. Sleep came easy to most that night, as we laid our heads down under the amazing blanket of stars that seemed to be endless. Day two was considered to be one the most challenging of our hikes; some of us had not gone as far as five miles in one day since our orientation groups many years ago. We set off with our hopes high to continue the pace we had preserved the day before, however we were only fooling ourselves because we had not properly calculated how much damage the previous hike had done to our bodies. By our lunch break, we had only hiked three miles, less than what we had anticipated but with some planning and recalculations from our leaders, we decided that we needed to take less breaks in order to reach our goal of eight miles. With a new plan in place, we sat down to enjoy a solid lunch of trail snacks or peanut better and jelly wraps. 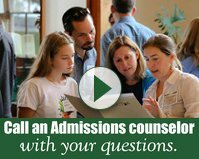 With everyone enjoying the view, we covered a variety of topics in conversation. Mountain seems to brew interesting conversations from environmental issues to comparing menstrual cycles, however Tuesday was something I had never anticipated to talk about on Mountain Classroom, as we debated the laws of prostitution which then segwayed into body empowerment. As we kept our pace steady through the afternoon and breaks to a minimum that day in the canyons, everyones spirits started to waver. The caffeine pills and ranch shots from earlier in the morning of our hike were beginning to wear off. It soon escalated to climbing up steep canyons became to the hardest task of our lives. Yet with the humor and spirt from the presence of a couple of camp counselors among us, the group was uplifted with the natural high of singing camp and trail songs; making our feet a little less freezing from the puddles of creek water in our hiking boots that morning. That night, as we congregated for our evening meeting, we were given the news that we had to cut the expedition short. To a few of us, this was unfortunate news because we wanted to continue hiking. 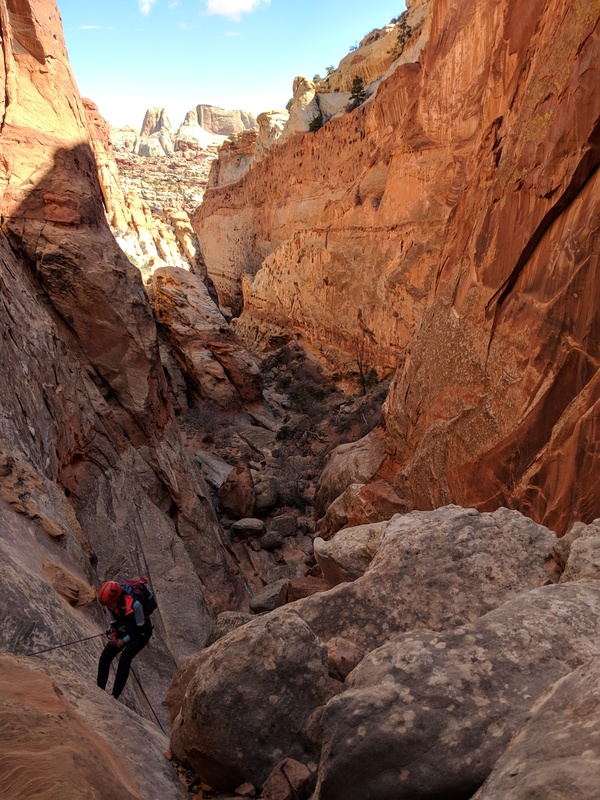 However to others the idea of not having to hike another fifteen miles in two days was considered to be a great save from their potential deaths in the canyons. 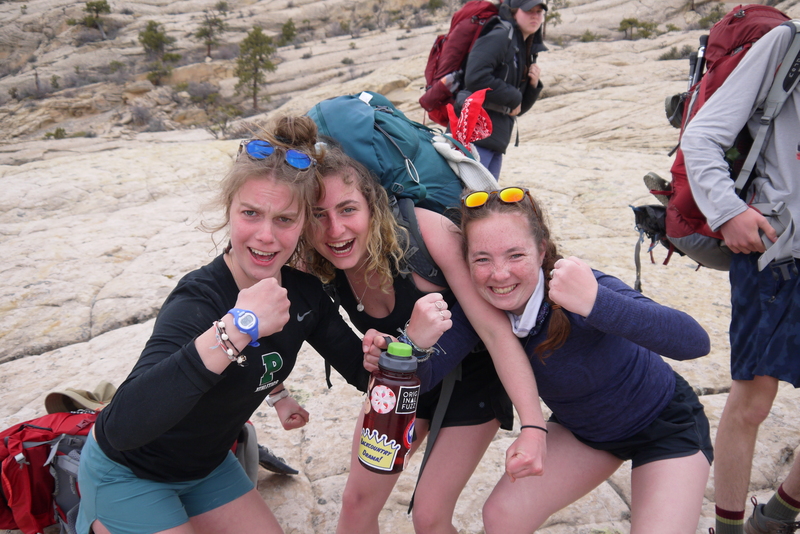 With our expedition cut short, we made our way back into the quaint town of Escalante with packs on our backs and the spirits heightened by the fact that they would soon be able to walk without extra weight. The rest of the morning consisted of learning how to walk again and organizing our dirty gear from the past two days of back country living. After a day of rest, we decided that we loved the aspect of hiking without our packs. 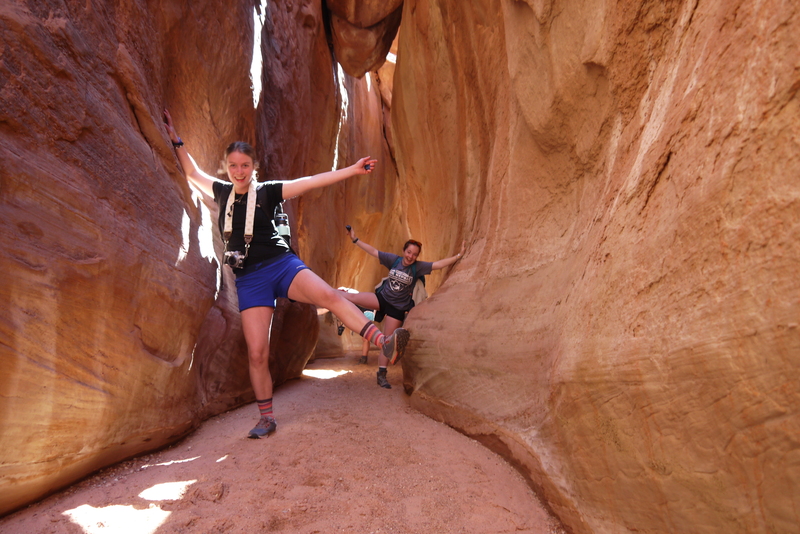 Although we had ended our trip shorter than expected, we continued to enjoy the different trails that Escalante had to offer on a day hike the following afternoon. So we headed to a new trail fully energized for an adventure, just no packs, of any kind. The experience was yet another one that blew our minds. The views were amazing and made us reflect on our love of the canyons as we walked on the soft sand in a large crack of the canyon. During our hike to Brimstone Gultch we got our cardio in by repeatedly sprinting up sand dunes then tumbling down them. Exhilarated from the sand dunes we continued on and as canyons started to narrow most of us were glad because there was freezing water waist high and ice cold. However, Jonah and I, along with others decided to full send it into the ice bath to explore the undiscovered parts of the trail. But the most amazing part of the day that made it one of most special for all of us was the validation and recognition of what a stellar group of people we have. The highlights of the day included playing games with the group that required tackling each other for prom dates, pretending to be tiny tanks, reviewing our favorite movie sound tracks and protecting the president. On Mountain we have struggled. We have struggled with forming relationships, completing our jobs, pushing busses out of sand dunes and getting used to the camping lifestyle. At the same time, these struggles have allowed us to grow. We have thrived in our relationships, connection with nature, learning about the places we venture and valuing the life long friendships we have made in only 10 days. Mountain Classroom has already taught me so much through experiencing first hand the struggles of our trip and from the beautiful moments together on the road. 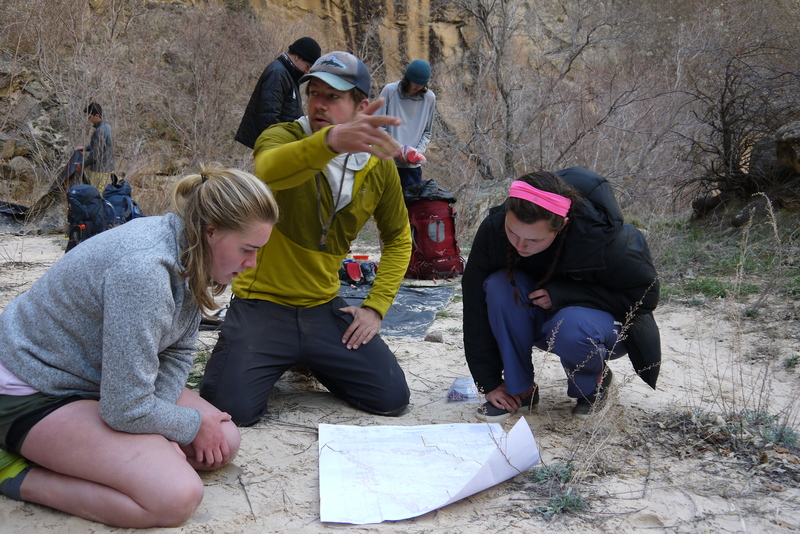 Explaining the Mountain Classroom experience is indescribably hard for me because I would and could write pages about this experience, it is so much bigger than any words that I can put down on paper.